Are you torn between the Tyent ACE-11 and UCE-11 water ionizers? Perhaps you want to know if the UCE-11 is worth the extra money? Or maybe you’re in the market for a new ionizer and interested in the Tyent brand? No matter what led you here, I’ve got you covered. My Tyent ACE-11 Turbo Extreme Water Ionizer review covers all the bases to help you make the most informed buying decision. After all, buying a new water ionizer is a serious decision, one that will change your life. 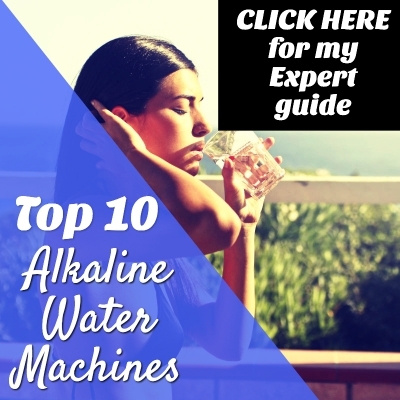 A quality water ionizer will last you and your family a lifetime – a life full of the amazing alkaline water benefits people all over the world are experiencing right now! Before we start the review, I’ll tell you ahead of time that Tyent is one of the few alkaline water machine brands you can trust. There are only a handful of companies that manufacture their machines in Japan and South Korea. Only these two countries have certification systems in place that guarantee you’re purchasing a medical-grade water ionizer. Now, let’s go over the features of the ACE-11 ionizer. One of the most important factors to consider before purchasing an ionizer is the type of filters it uses, how many it uses, and how often they need to be replaced. In my opinion, the best water ionizers use the best water filters. If a company skimps on its water filter technology, you can be sure they skimped on their ionizer design as well. Tyent is one company that went the extra mile with its filter design. Tyent filters filter down to .01 Micron, the same standard as kidney dialysis machines. The two-stage filtration process starts with an activated carbon filter and ends with a composite ceramic filter that adds electrolytes to your water. What I like about Tyent’s system is that it scrubs out all the impurities in your source water before livening it up. This process ensures your water is optimized before it undergoes the ionization process inside the ionization chamber. It also prevents any hard water buildup on you ionization plates. You can click here to view a 3rd party report provided by Tyent that includes a comprehensive list of all the impurities Tyent water filters remove. For those of you who are concerned about fluoride removal, Tyent filters do remove fluoride. There’s no need to buy an additional fluoride filter, unlike other ionizers on the market. Filter life is about 6 months or approximately 950 gallons – this is the standard life I’ve seen among the best alkaline water brands. Click here to view the current price for a replacement set of filters at Amazon. Since the ACE-11 is a countertop water ionizer, you must account for the required counter space beside your sink. The great part about Tyent ionizers is their smaller footprint than most other countertop ionizers on the market. Plus, the ACE-11 is more attractive than other ionizers that sometimes look like spaceships from the 1960s. Your guests will be delighted instead of perplexed when they see your ACE-11. Your ACE-11 package includes all the necessary parts for a smooth installation. It’s always important to see what current owners are saying about their ionizers before buying your own. As a company, Tyent USA has an A+ Better Business Burea rating, which is always a pleasure to see. Tyent also has an awesome score of 9.16/10 on ResellerRatings.com with over 300 total reviews. One gentleman confirmed that Tyent honors its lifetime warranty. He needed a replacement part, and Tyent quickly shipped it without him having to return the original part or cover any shipping costs. Another gentleman said he began feeling the health benefits of drinking alkaline ionized water from the ACE-11 within weeks of purchase. Another guy has been drinking Tyent water “exclusively” for a year. He’s lost 65 pounds, no longer has allergies, and skipped a knee surgery he had needed before he began his alkaline journey. A husband and father has eliminated his migraines and sleep problems. He’s lost 50 lbs. He also reported healthier looking skin and whiter teeth. One woman loves the “smoothness and taste” of Tyent water. I chose to include the reviews above because they fall in line with the reviews I’ve come across during my many hours of alkaline ionized water research. You can click here to read about how alkaline ionized water helped me eliminate a nasty case of heartburn that wouldn’t go away. Overall, I give the ACE-11 unit a big thumbs up 👍. One of the functions I believe is now mandatory in a quality water ionizer is a molecular hydrogen function. Alkaline ionized water with added molecular hydrogen is the future of water, and with several alkaline water brands including Tyent, the future is now. The Tyent ACE-11 allows you to choose whether you want to boost molecular hydrogen. The only other brands I’ve seen with molecular hydrogen technology are Life Ionizers, AlkaViva, and Enagic. It’s no coincidence that all these brands manufacture their alkaline water machines in Japan or South Korea. The ACE-11 is certainly a top pick for best countertop water ionizers, alongside the AlkaViva Vesta and Life Ionizers MXL-15. In the battle of Tyent vs. Kangen, I give Tyent the nod simply because they charge significantly less for the same (and better) features. The ACE-11 is also much more attractive and sleeker than a Kangen water machine. I do believe Kangen water machines are legit, but I can’t justify the crazy-high price tag. You’re much better off purchasing an ionizer from Tyent, saving thousands of dollars, and getting the comfort of a lifetime guarantee on both parts and labor. Enagic includes just a 3-year warranty on its Kangen water machines. Bottom line is you can purchase the ACE-11 with confidence you’re buying a legit water ionizer from a legit company. Click Here to check out the current price for an ACE-11 ionizer at Amazon. Greetings fellow health nuts! I’m the host, creator, and writer here at Alkaline Water Machine Source. You can call me Hercules. My mission is to help others heal and feel better overall through the power of alkaline ionized water. It helped me win a nearly decade-long battle with chronic fatigue, and I think it can help you too! LET ME DO THE RESEARCH FOR YOU! Stay up to date with all the latest sales and alkaline water technology straight to your inbox. It's my commitment to deliver the best possible deals for all alkaline water machines currently on the market.